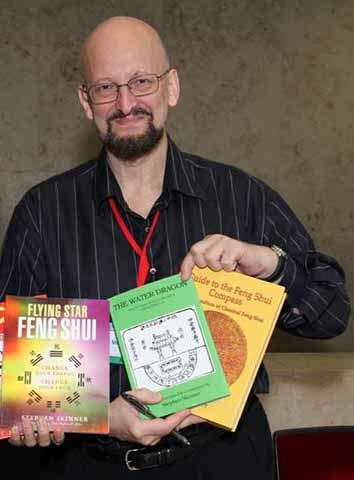 "Stephen Skinner is probably the most important Western scholar taking the science of Feng shui seriously. In the past few decades he has made important contributions to clarifying the rather vague image from which Feng shui suffers in the West"
- Dr. Ulrich Theobald, Lecturer in Chinese history and classical Chinese at Tübingen University, Germany. 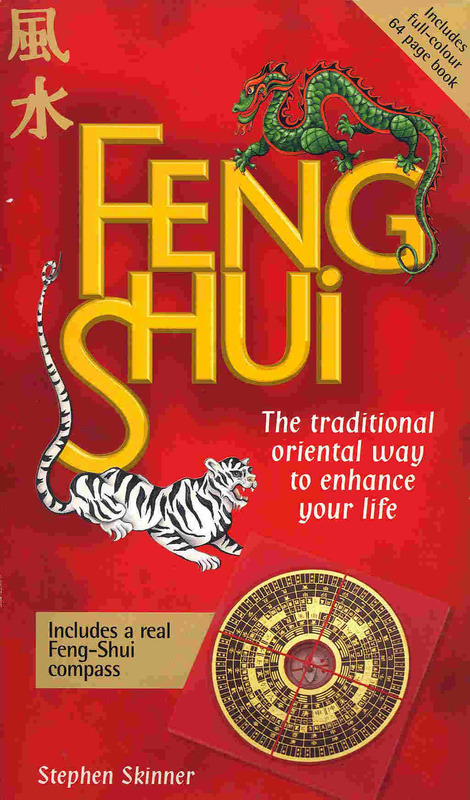 This is the first book in English on Flying Star feng shui which explains how it compatibly relates to Eight Mansion feng shui, and provides 216 giving lower kua Flying Star charts with 24 Mountain direction indicator, as well as all of the variant Substitution Star (ti kua) charts. Although the 'Flying Stars' were originally related to the stars of the astronomical Big Dipper asterism, in their feng shui usage they are simply terms for changing types of subtle ch'i (qi) energy present in our living environment, our homes, and our workplaces. Flying Star assumes there is a very real link between the present time, the time a building was built, its directional orientation, the birthdates of its occupants and the consequential changing luck of its occupants. 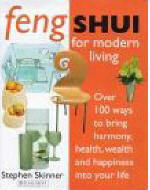 Contrary to popular mis-conception, Flying Star feng shui is completely compatible with Eight Mansion feng shui. 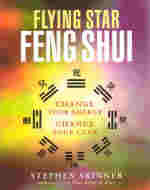 The effects of using Flying Star feng shui correctly can often be impressive and very rapid, often within 10 days. Flying Star feng shui is one of the components of Hsüan K'ung (Xuan Kong), which is in turn part of the San Yuan School of feng shui, which relies upon the 8 Trigrams kua (gua) and their combinations. By contrast San He (the other great school of feng shui) relies upon combinations of the 5 Elements (in their yin and yang forms) with the 12 Earthly Branches, forming 60 chia-tzu (jia zi) or dragons. 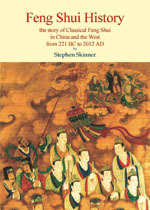 Much of the knowledge in this book comes from the Chinese text of perhaps the most famous Hsüan K'ung (Xuan Kong) master of the 20th century, Shen Chu Reng and his book on Flying Star entitled San Yuan Ti Li Tai Hsüan K'ung. 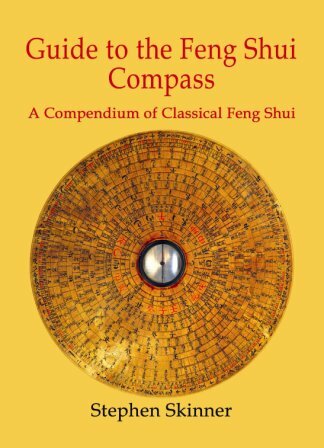 a Compendium of Classical feng shui. A detailed description of 75 rings of the lo p'an, and a feng shui time line. There are over 65 Tables, more than 174 illustrations, and 32 full colour plates. 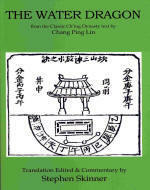 These include rare pictures and analyses of Ming and Ch'ing (Qing) dynasty lo p'ans. Every technical term, book title, or person's name, is carefully footnoted in traditional Chinese characters with supporting pinyin and Wade-Giles transliterations. 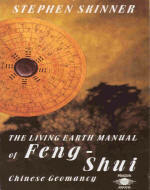 There is a also a detailed feng shui history time line. Water Dragon formulas are key feng shui formulas which show how water should be organized outside a house to provide the maximum benefit. They are designed to create and increase wealth. This Water Dragon text comes from a collection of key feng shui texts collected during the reign of the Emperor Ch’ien Lung (Qian Long), by Chang Ping Lin a feng shui master from Fukien in the early 18th century. This text is from an authentic source, which has never previously been available in English. 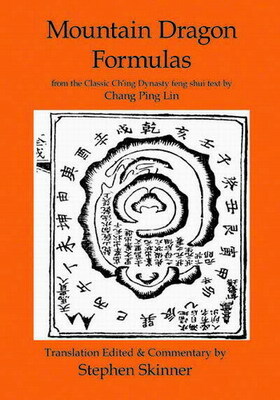 Its formulas, some of which are derived from Yang Kung (Yang Yun Sung, fl. 888 AD), are clear and easy to apply, provided you have a lo p’an. Original Imperial Water Dragon formula from 1739, with original Chinese text on facing pages. 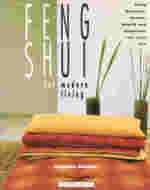 The Original Chou Shu Door Opening Method, the key to Eight Mansions feng shui from a rare 1739 text. Originally the Eight Mansions formula was always used to determine the best main door positions, not the quality of the rooms. The positioning of the main door is much more critical than the utilisation of the interior rooms. This formula finally solves the problem that has perplexed many modern practitioners: as to which (the building or the apartment) entrance should be used for feng shui calculations. The present text dates back more than 250 years. 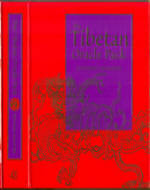 It predates many Chinese texts, and is definitely much older and more authentic than anything else available in English on the Eight Mansions. This classic examines each of the 24 Mountain. The translation comes with facing Chinese text, and the original illustrations. 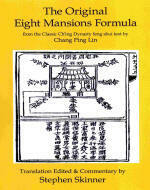 Original Imperial Eight Mansions formula from 1739, with original Chinese text on facing pages. This book contains the authentic San He five Element formulas, including San He water formulas, 12 Life Stages, Yao Sha, Robbery Sha, and Kitchen stove positioning, laid out very clearly. It was compiled in the early Ch’ing Dynasty, but the formulas date back to the T’ang Dynasty. It is translated from the Chinese with illustrations and facing the original woodblock Chinese text. 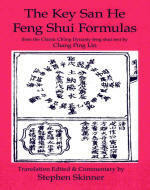 Original Imperial San He Feng Shui formulas from 1739, with original Chinese text on facing pages. 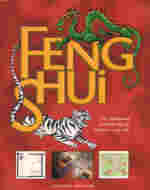 This book contains authentic yin feng shui Mountain Dragon formulas. It was compiled in the early Ch’ing Dynasty, but the formulas date back to the T’ang Dynasty. It is translated from the Chinese with illustrations and facing the original woodblock Chinese text. Original Imperial Mountain Dragon formulas from 1739, with original Chinese text on facing pages. Stephen Skinner has taken feng shui to new heights by showing how you can use feng shui within your home in a way that is both stylish and practical. By looking at some of the most interesting homes in London and Asia, and analysing the feng shui behind their design, Skinner has shown that this ancient Chinese art and modern cutting edge design can be mutually supportive. Examples range from the grand old 19th century elegance of a Chinese mansion of one of the last and richest mandarins of Imperial China in Penang, via the timeless Balinese rainforest luxury of Begawin Giri, to the very latest and most exciting Philippe Starck designed environments in London, showing how each in turn uses the timeless concepts and techniques of feng shui to enrich, harmonize, or stimulate different environments. 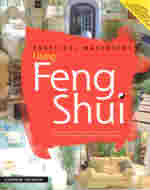 The feng shui techniques covered range from simple Eight Mansion feng shui, through the placement of water dragons, interior and exterior design, to the calculation of intricate Flying Star charts which predict the exact history of wealth, decline and resurrection of a home over a period of more than a 140 years. 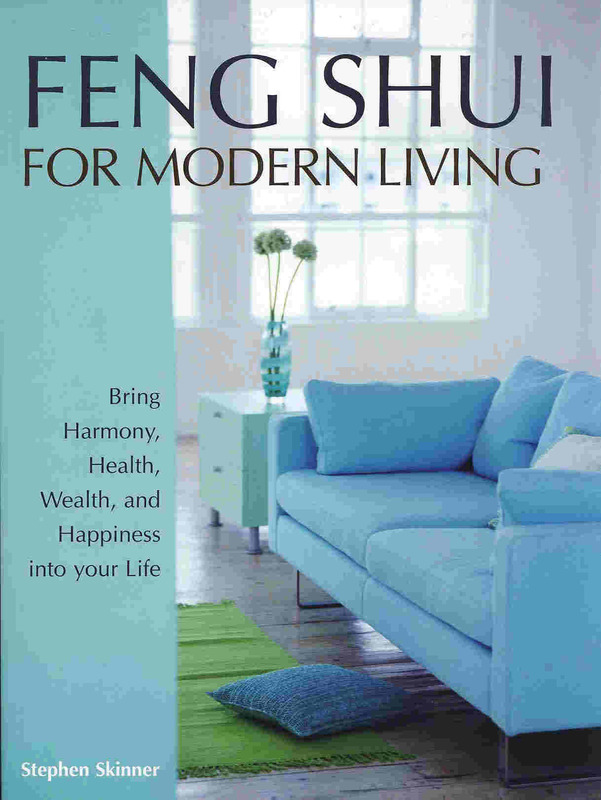 The pleasure of this book lies in both its pictures of lovely and desirable environments, and in the appreciation and understanding of feng shui that will become yours as you read the text. 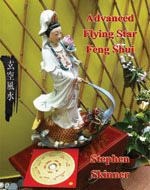 The classic and most definitive book on Flying Star Feng Shui in English. 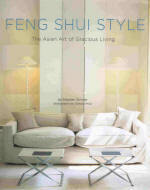 For those who want to start from the beginning with classical feng shui. 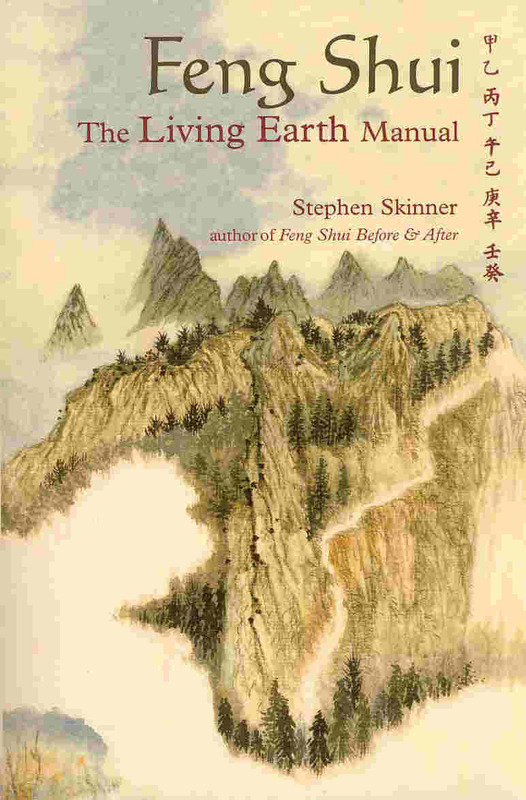 "The book that started it all" Stephen Skinner wrote this book way back in 1976, long before feng shui become popular. It has been translated into 11 different languages around the world, including Chinese. 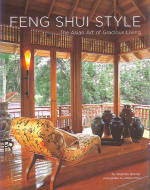 This Book contains information on Classical and landform Feng Shui that has still not been surpassed. 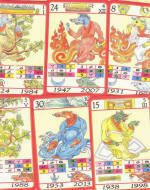 Card Pack of the 60 Chinese Year Animal and Element combinations. 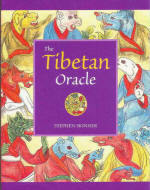 All of which are based on the combination of the 12 Animal Signs (Earthly Branches) with the 5 Elements (in their yin/yang aspects as the 10 Celestial Stems), and derived from an original Tibetan manuscript written in the mid 1600s but based on traditions going back to the T'ang Dynasty in eighth century China.